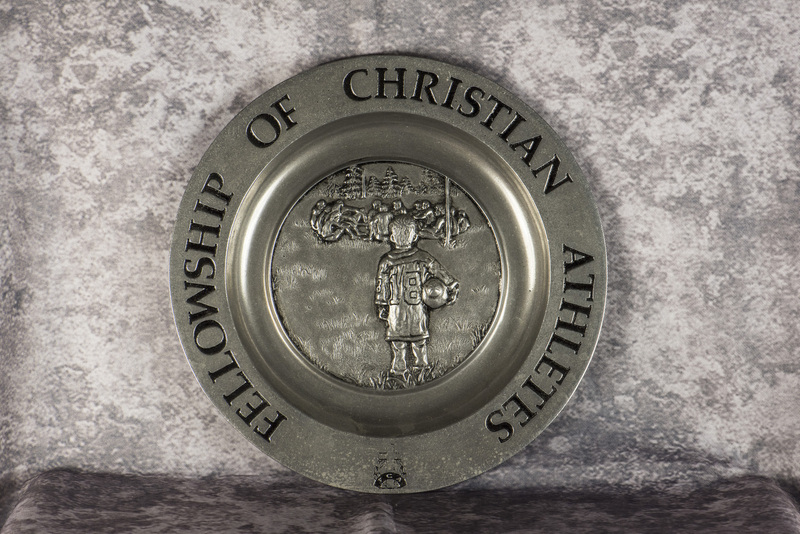 Fellowship of Christian Athletes has been a tremendous ministry in the lives of young people. Jim was first introduced to this ministry shortly after coming to Texas by Tom Laundry and Roger Staubach and years later presented this plaque. 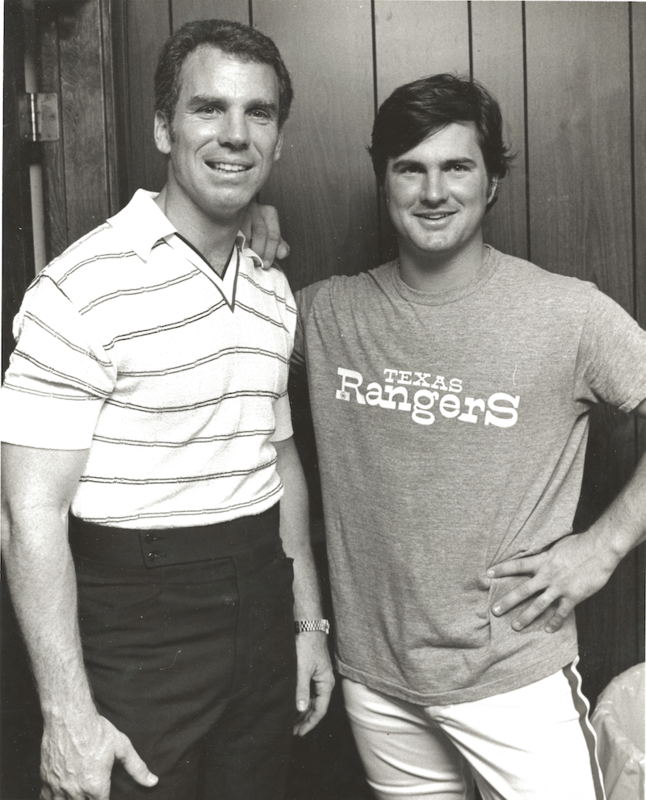 Roger Staubach speaks at Rangers baseball chapel in the 80’s. Baseball Chapel was started in the 70’s where a speaker comes to the locker room of every MLB team for Sunday church service. It was not until July of 1977, at the age of 26, in a hotel room in Toronto, where the Rangers had been playing the Blue Jays, that Jim accepted Jesus Christ as Lord and Savior. It was at that time while reading a book by Hal Lindsay, The Late Great Planet Earth, that Jim realized that Jesus was who He said He was and that the bible was the true and accurate word of God. The claims that Jesus had made about himself put him in a category of either being a liar and lunatic or He was who He said He was. Also came was the understanding that he could have a personal relationship with God through Jesus. And that one day, Jesus would return to take His people to Himself. One of the unknown elements about Jim’s life and his faith over the years was the often private times with God, wrestling to understand the Bible and wrestling to know God better. And the sense that knowing God better would probably be a pathway to better understanding himself and his shortcomings and then to use the knowledge found to better serve Him. One way of serving was to first influencing his own family with some of the same realizations of the bible and to put his children around other Christian influences. As a result, not only have they made decisions to walk with the Lord but their children are headed in the same path. At one time or another, all have taken a foreign mission trip to serve others abroad. Serving though can also be right where you live. It was many years later in one of Jim’s studies of the Bible, when he pursued to study the Armor of God passages in the book of Ephesians. He soon realized that its use of the Roman soldier’s equipment to illustrate a piece of spiritual armor had similar applications as his tools were as used by a baseball catcher. Fifteen years ago Jim had created a 160 page guidebook around the Armor of God, whose intentions and design was to help Christians better navigate their faith. That project was put on hold until now. One of the gifts that God has given Jim is to put order on concepts. If there is a way to systematize something, Jim has a keen sense on how to approach it so others understand. It is Jim’s intentions to move in a direction to see what God wants to do something with that project. Jim’s defensive abilities in baseball were a God gift to him. His defensive abilities were so natural and flowed artistically from his core being.